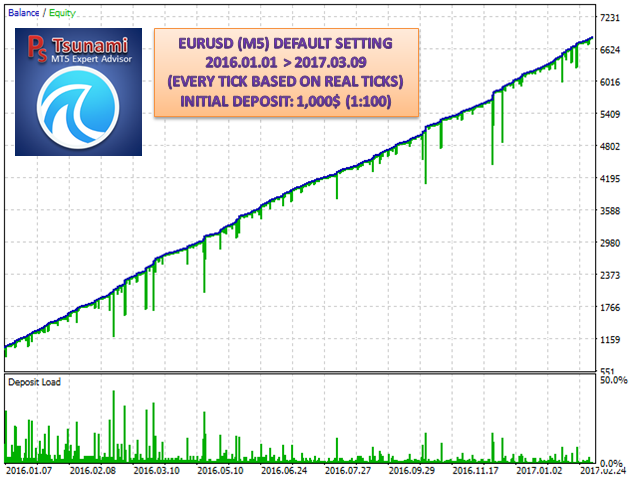 PS Tsunami is a multi-currency that works on any timeframe. 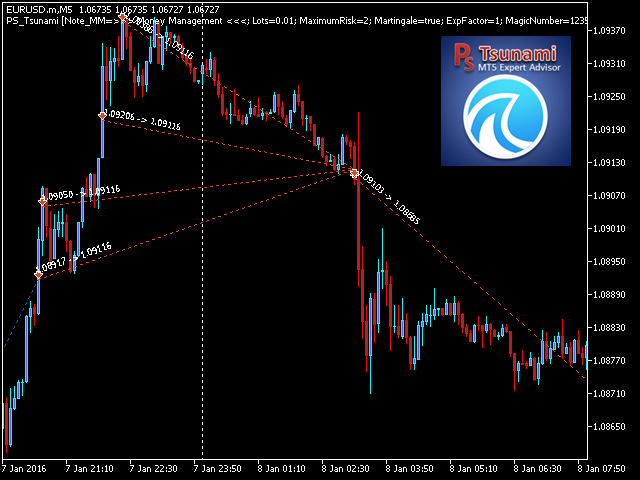 Martingale is used to convert operations losers in winning operations. When the operations are in negative terrain, the recovery mechanism placed new businesses by calculating the balance point and gaining a certain margin previously configured. Works for ECN/Non-ECN brokers and 3-4-5 digits. Total net exposure is pre-calculated. Ideal for Virtual Private Server (VPS). Please make sure that your account supports hedging. 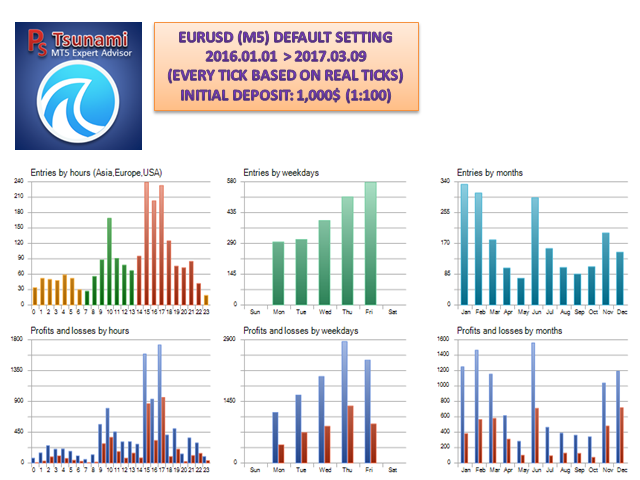 Strategy Tester: Use the model 'EVERY TICK BASED ON REAL TICKS' for greater accuracy. 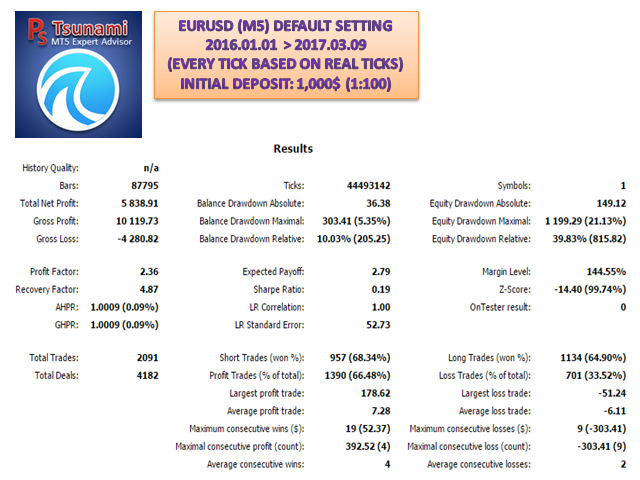 Special attention must be given to the balance that should be reserved for the operation of the EA, because due to the Martingale strategy, eventually the EA can increase significantly amount of open positions and lot sizes. For those who intend to use the EA, it is necessary to understand that this is a high risk strategy. So, first of all, you have to accept the risk. The seller provides good technical support, responding quickly to all questions about the product. Added a panel of account information. Description of the variables more understandable.